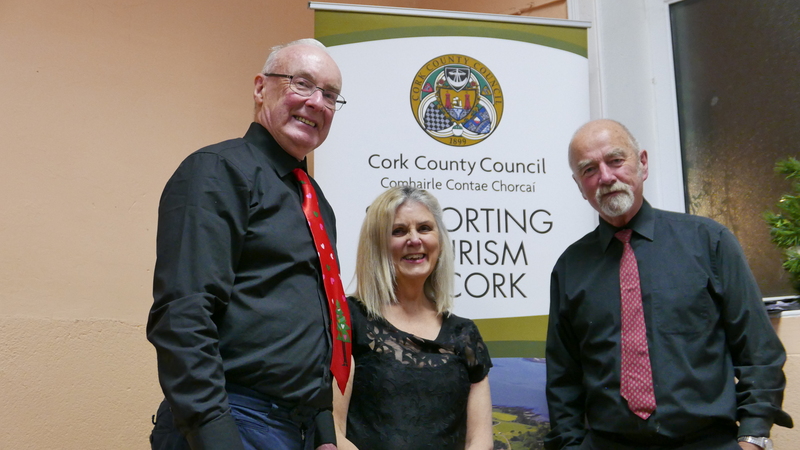 The West Cork Choral Singers’ Christmas concert was a festive potpourri, with the choir as a whole performing a seasonal repertoire. 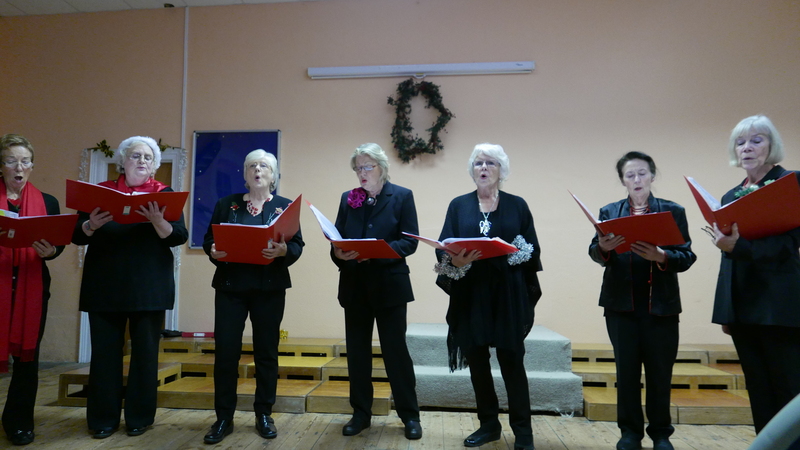 In addition, various choir members teamed up in smaller units to sing, play an instrument or read poetry. 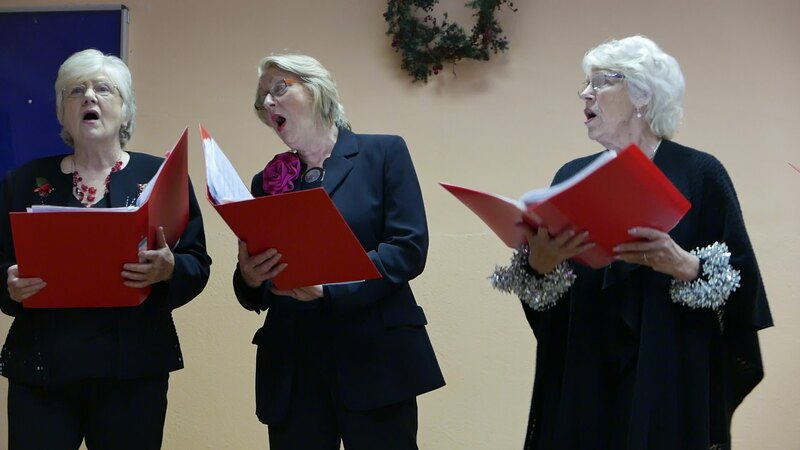 The variety of the ‘acts’ made for a lighthearted evening of entertainment, with the mulled wine and mince pies adding to the spirit of the evening and of the season. 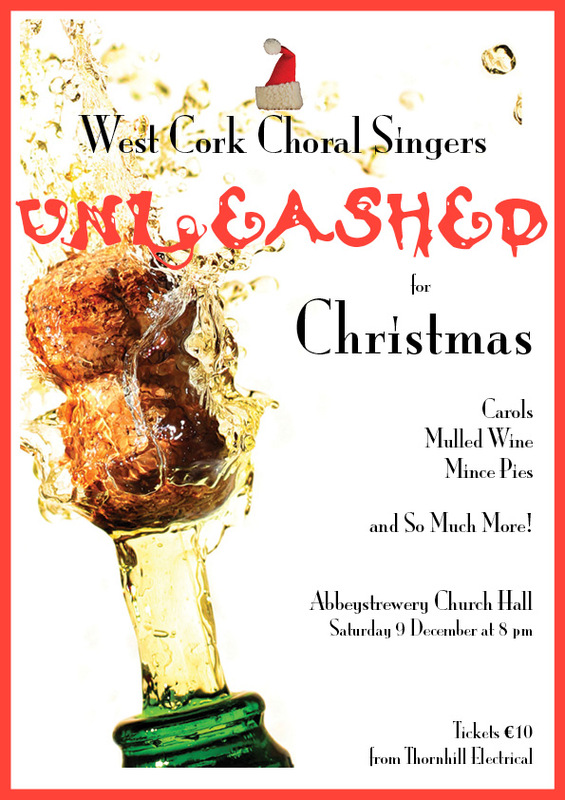 Your last chance to see the West Cork Choral Singers perform live – ‘Unleashed for Christmas’ – before they partake in the New York premiere of Sing! 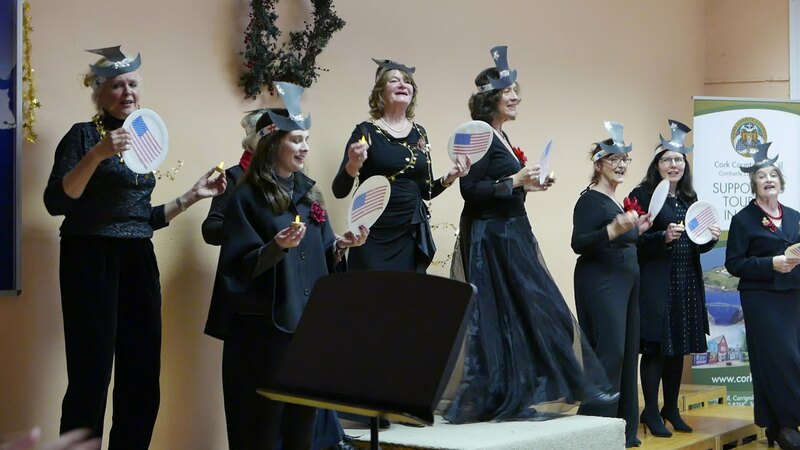 The Music was Given in Carnegie Hall on 15 January. For anyone new a map to the practice hall can be found here. Apparently the much maligned postcode works now in Google Maps – P81 T880 – should get you there, too. 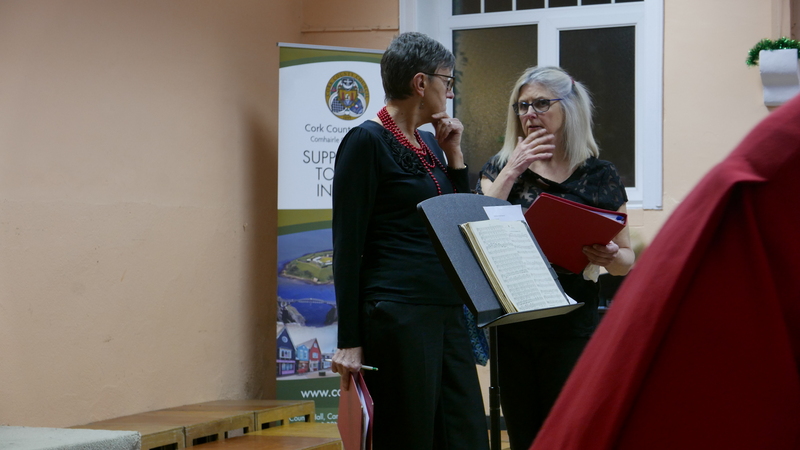 At the West Cork Choral Singers’ ‘Encore’ concert in Abbeystrewery Church on Sunday 2 April 2017, Diana Llewellyn, musical director, explained, as she introduced the ‘Benedictus’ from The Armed Man, that she comes from the same Welsh chapel-based musical tradition as Sir Karl Jenkins – they even studied in the same institution, albeit a few years apart. 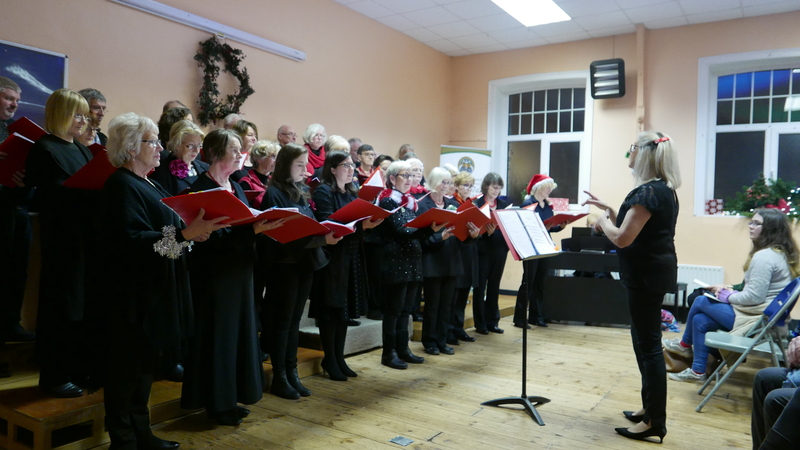 It was these Welsh connections, therefore, which led to one of the outstanding achievements of the choir to date, their performance of Jenkins’ The Armed Man (A Mass for Peace) at Schull Community College in late 2007. 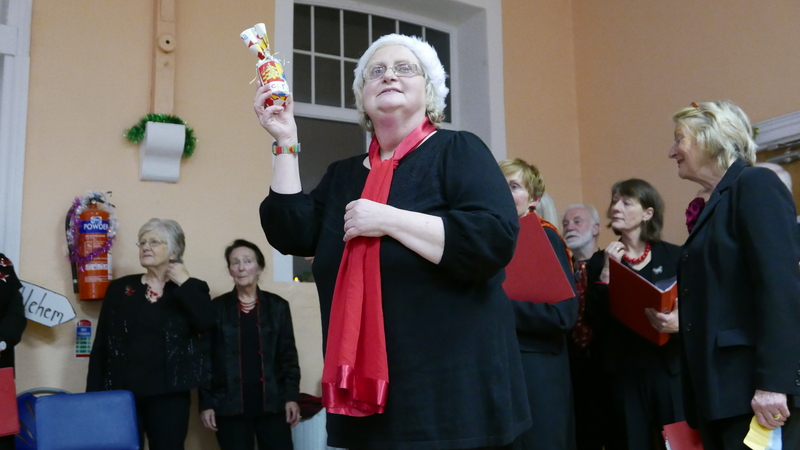 As befits a choir with strong community roots, the hall was filled to overflowing. 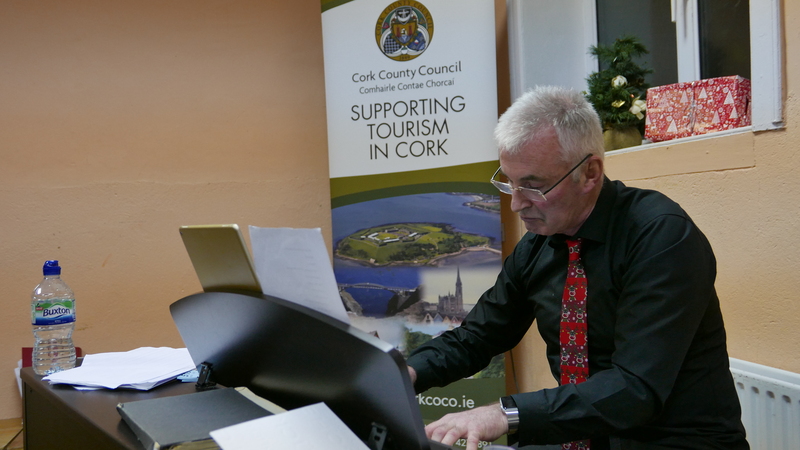 The most-performed living composer in the world went down well in West Cork in what was the first performance of the complete work in Ireland. 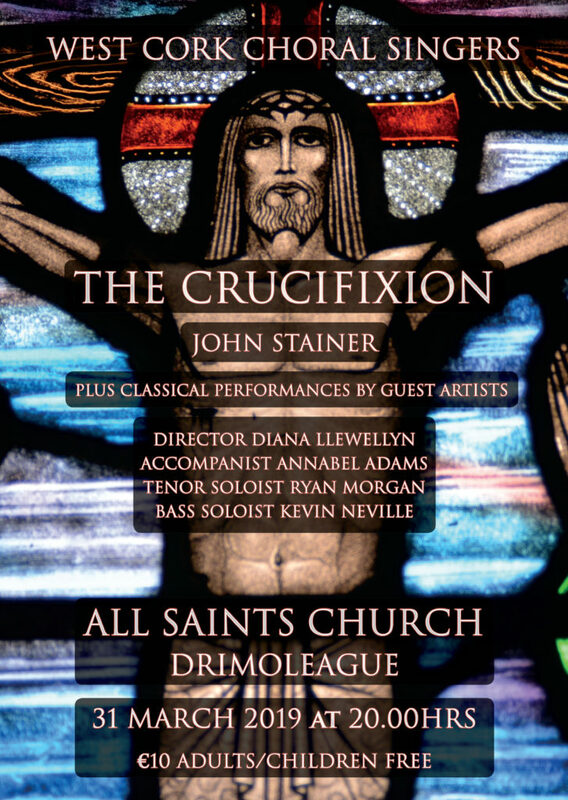 In April 2016 the choir, together with an orchestra of local musicians and soloists, also performed Jenkins’ Stabat Mater, based on the 13th-century prayer, in Abbeystrewery Church. 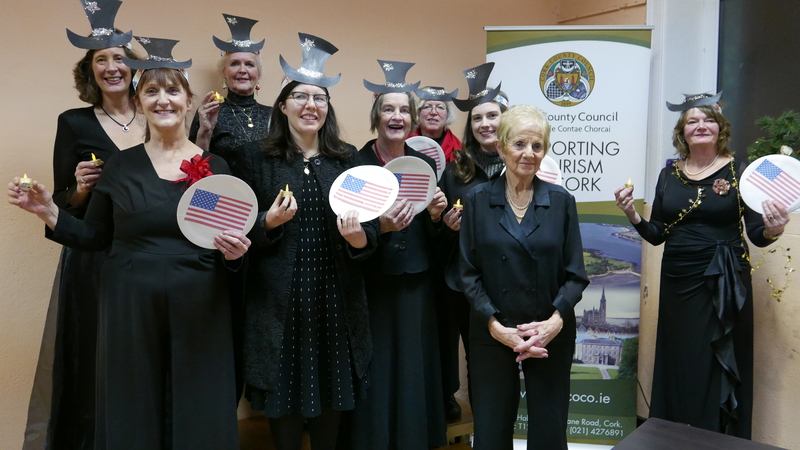 It was totally appropriate, therefore, that when the Distinguished Concerts International New York – whose motto is ‘changing lives through the power of performance’ – were searching for choirs from around the world to perform The Music of Sir Karl Jenkins, they discovered the close affinity of the West Cork Choral Singers to the Welsh composer’s work. 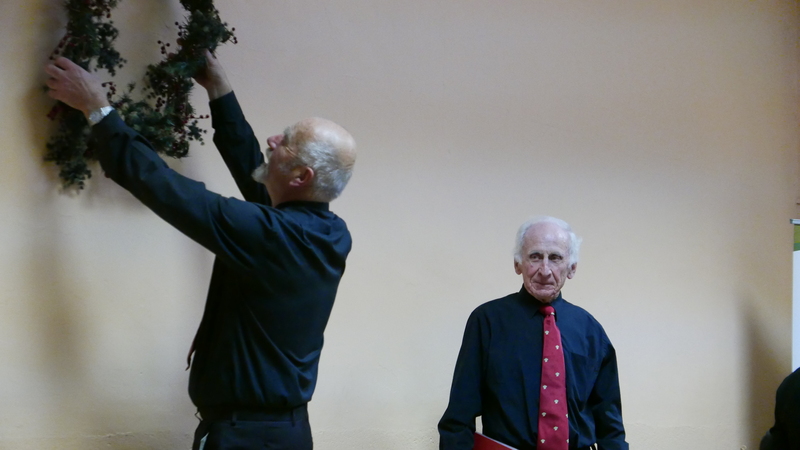 Having heard samples of the choirs’ work, an invitation was extended for the WCCS to partake in the concert, which will take place in the Stern Auditorium of the Carnegie Hall on 15 January 2018 under conductor Jonathan Griffith. 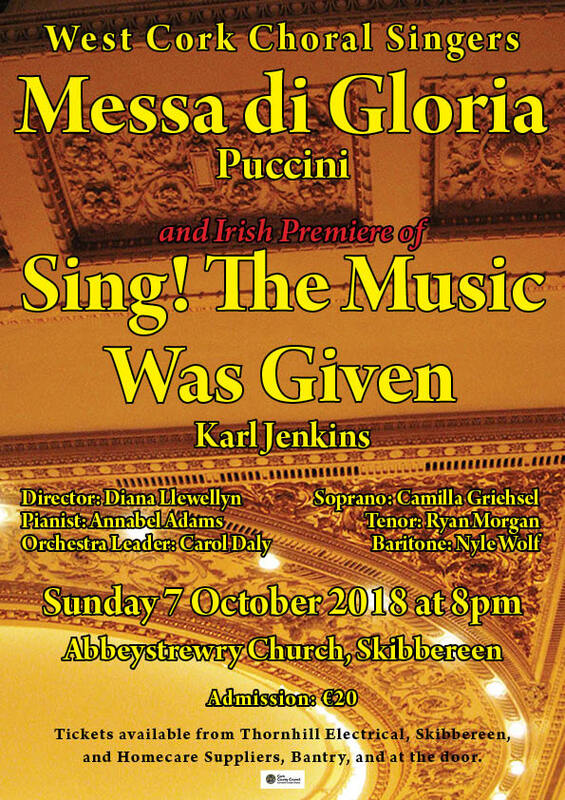 The four-day trip includes two half-day rehearsals with choirs from some 14 countries prior to the concert, which will feature a US première for Jenkins’ Sing! 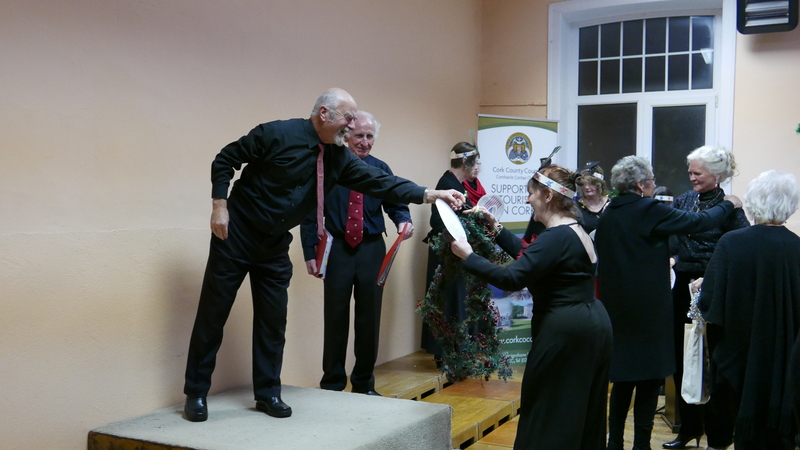 The Music was Given (based on a poem by Thomas Moore) plus The Armed Man. 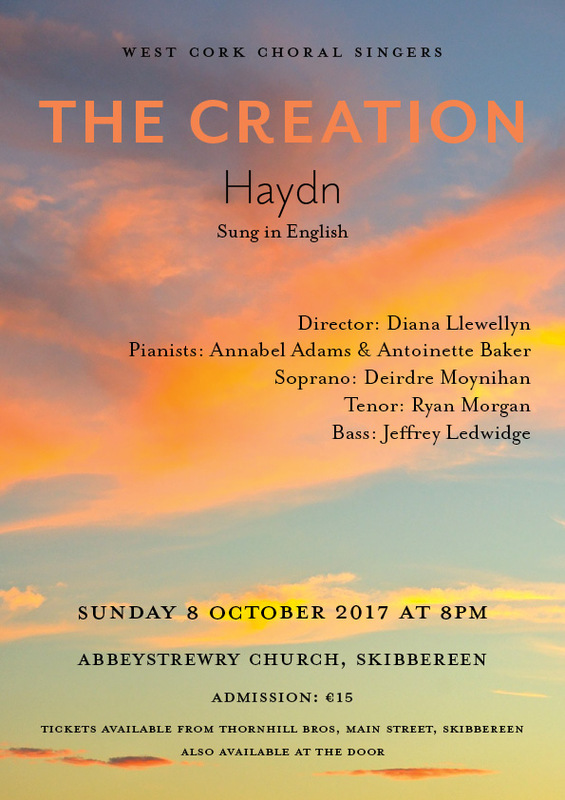 Performing in this concert, as well as a huge musical learning experience, will also mean that the WCCS will be privileged to première Sing! The Music was Given in Ireland at a later date. 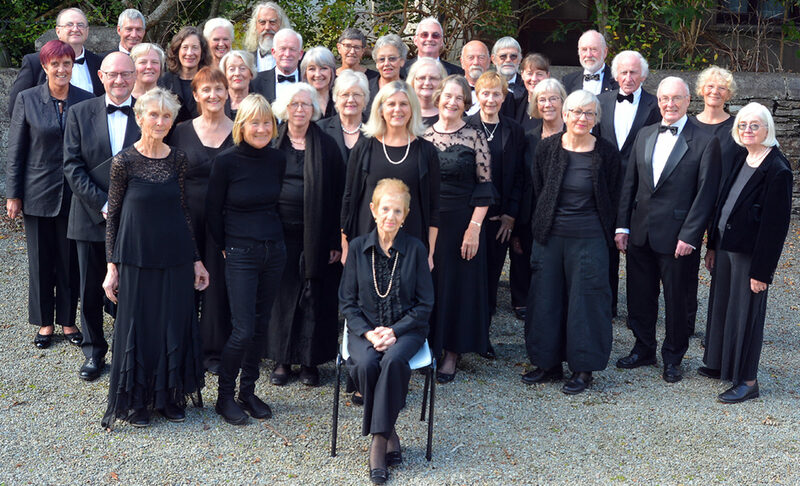 The West Cork Choral Singers are shown above performing this haunting piece by Gabriel Fauré to a large and appreciative audience at Abbeystrewery Church in Skibbereen on Sunday 2 April. 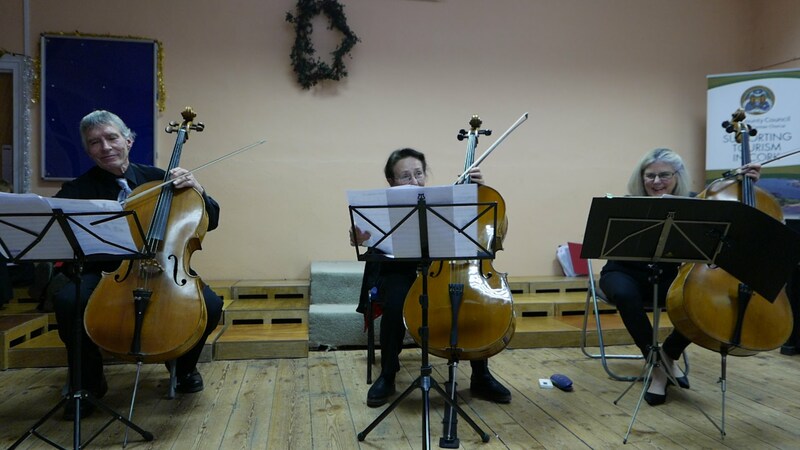 The evening, entitled ‘Encore’, also featured work by Johannes Brahms, Antonin Dvořák and Karl Jenkins. 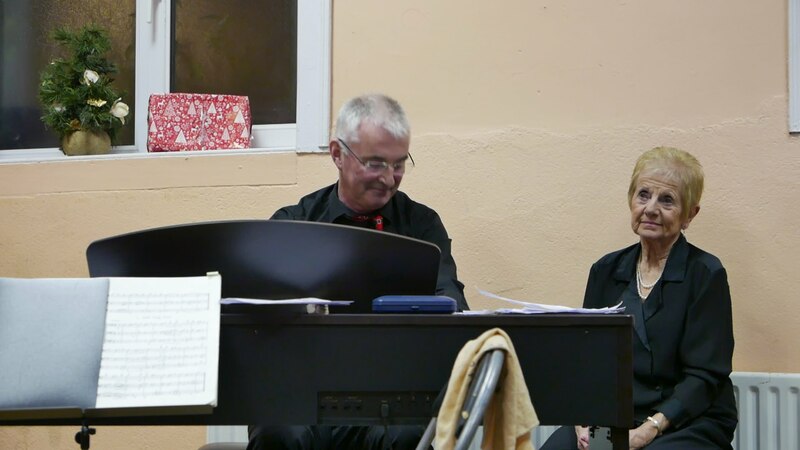 Annabel Adams on piano and Justin Grounds on violin provided musical backing. 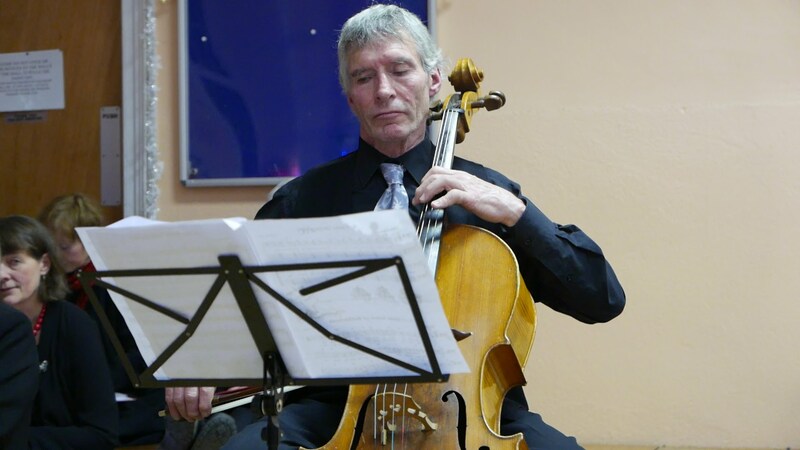 Justin’s solo violin accompaniment of the ‘Benedictus’ from The Armed Man was especially moving. 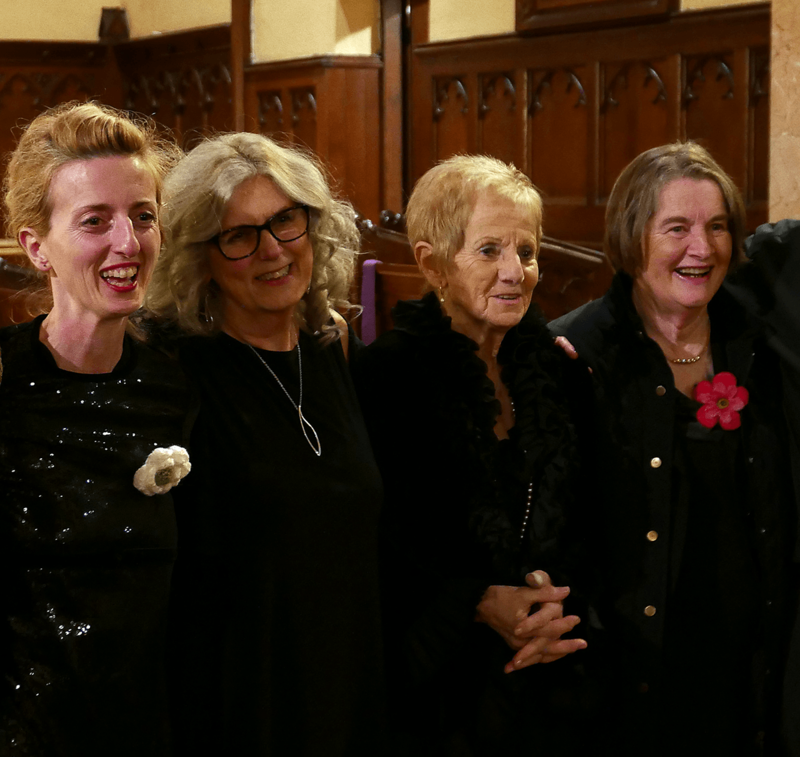 Rosario, Diana, Annabel and Claire in happy mood after an excellent evening of music. 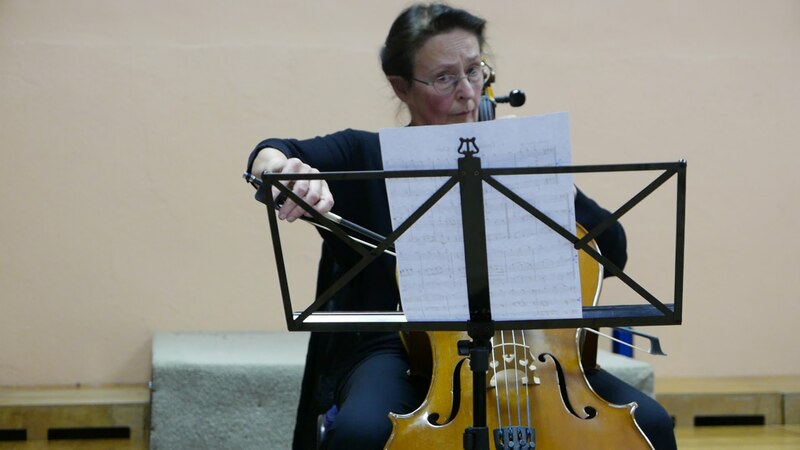 It was, sadly, Rosario’s last evening with the choir as she, and her family, are returning shortly to Spain. 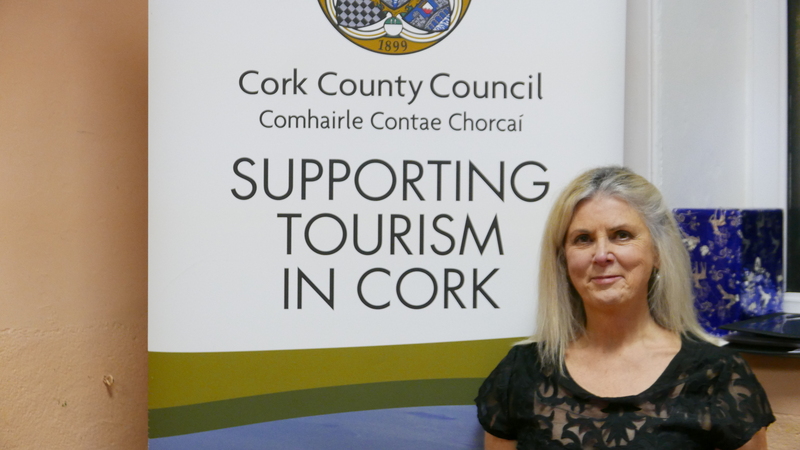 Rosario provided laughter, great mussel cookery and castanet playing to the choir during her stay in West Cork. 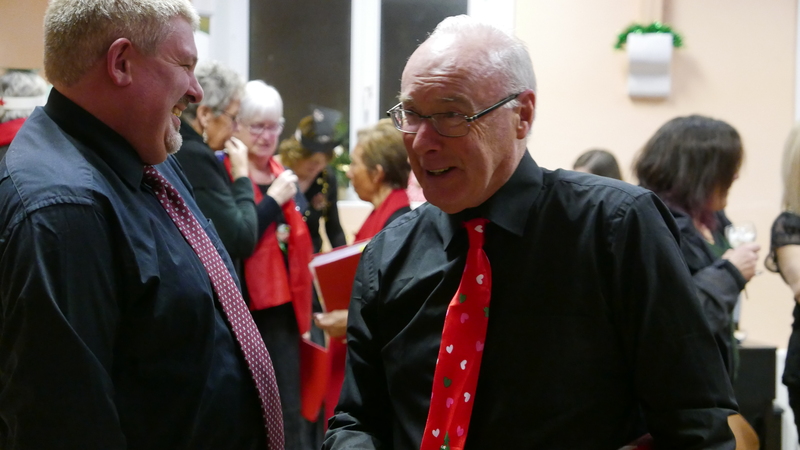 A fond adiós from all at the West Cork Choral Singers.